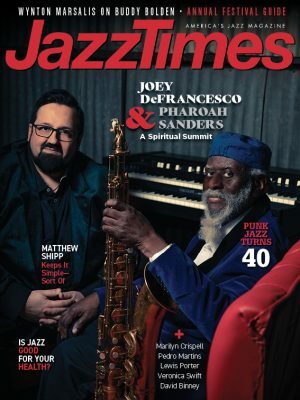 Although Matthew Lux has long been a staple of Chicago’s experimental music underground, having logged time in post-rock unit Isotope 217 and garnered a solid reputation as a sideman for cornetist Rob Mazurek, the bassist and composer has now officially joined the high ranks with his debut as a leader. Accompanied by an ensemble he’s dubbed Communication Arts Quartet (drummer Mikel Patrick Avery, saxophonist Jayve Montgomery, and cornetist Ben LaMar Gay), Lux has made a debut as exciting and classification-defying as Jaimie Branch’s Fly or Die and Gay’s Downtown Castles Can Never Block the Sun. 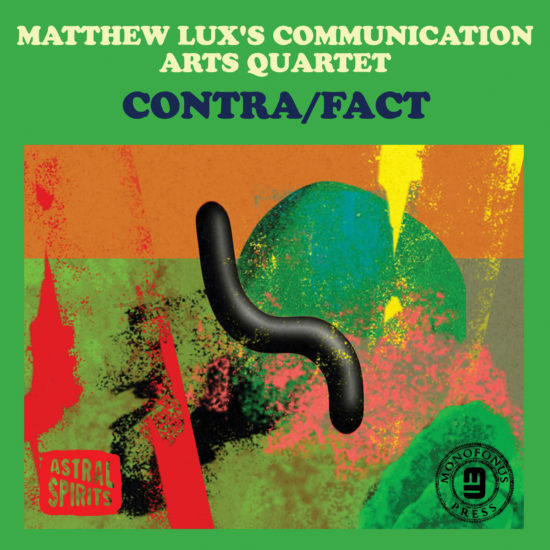 Contra/Fact originally came out in 2017 on cassette; then Lux, along with Leroy Bach of Wilco, re-edited the album earlier this year for digital formats, complete with a new running order. But no matter which version you hear, the sonic realms that Lux, Avery, Montgomery, and Gay explore remain warped yet melodic. Preview or download Contra/Fact on Amazon!